Heating and Cooling Crystal Lake: How’s Your Furnace Doing? How’s Your Furnace Doing This Winter? There are only a few more weeks of winter left, but for Crystal Lake and the surrounding area, spring weather can’t come soon enough. 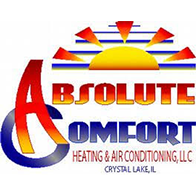 At Absolute Comfort, we want to make sure that you and your family are comfortable all season long. 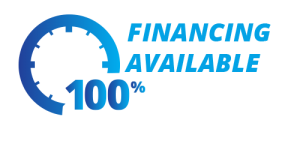 If your furnace isn’t working properly, or you’ve noticed anything strange with your heating system, then please don’t hesitate to contact us right away. Have You Noticed Strange Sounds? 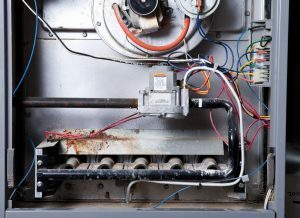 Clinking and clanking can be common with older furnaces, and if your furnace makes these noises when it turns on or shuts off, there might not be anything to worry about. However, if you notice any strange noises while the heat is on, such as hissing or banging, then it might be worth it to call an HVAC professional. Furnace sounds can be indicative of all types of issues, from loose and broken parts to worn seals and expanding ductwork. Our team will be able to get to the bottom of the issue quickly. Is Your Furnace Cycling Too Often? 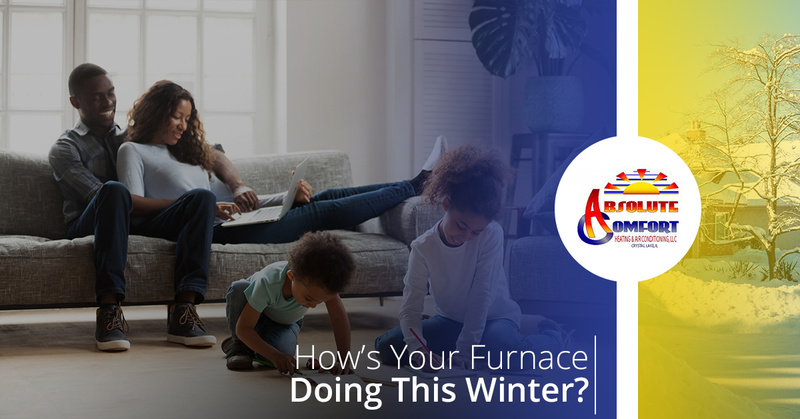 When you turn your furnace on in the fall, you expect it to start when you need it to and turn off when your home is at the desired temperature. If you’ve noticed that your heat is cycling on and off frequently, or it doesn’t shut off once the thermostat setting has been reached, then it could be time for repairs. A system that cycles too often could mean that your thermostat is faulty or that your furnace isn’t sized properly for your home. In addition, a system that runs too much can wear out faster and cost you more in monthly utility bills. Have You Changed the Filter? You may have changed the furnace filter before the start of the season, but have you replaced it since then? If your heat is running most of the day to keep the house warm, then after two or three months, it might be time to install a new filter. Your home’s air quality can be impacted by a dirty furnace filter, not to mention that the system will have to work harder to pull air through in order to heat it and push it through your home’s ductwork. Have You Smelled Strange Odors? Strange odors coming from your furnace are never to be taken lightly, and if you notice any, then please call us right away. Hot or burning smells can indicate an electric fault, while the smell of rotten eggs can mean there is a gas leak. Any odor that wasn’t there before could mean that your furnace isn’t working properly, and it’s imperative to get a certified HVAC technician on the job as soon as possible. At Absolute Comfort, we can provide any furnace repair that your home needs. Even if it’s just a simple fix, we’ll be thorough and diligent while checking your heating system. Above all, we want you to have adequate heat throughout the winter so you can remain comfortable and feel safe inside your home.